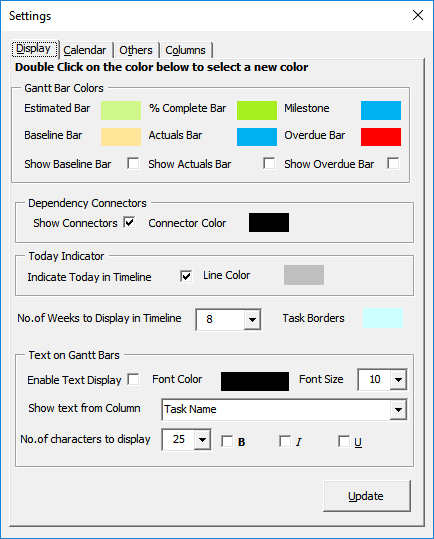 Default colors can be changed across the Gantt chart sheet by clicking on the Settings button on the Gantt tab. You can double-click the default colors to any color of your choice and click the Update button. 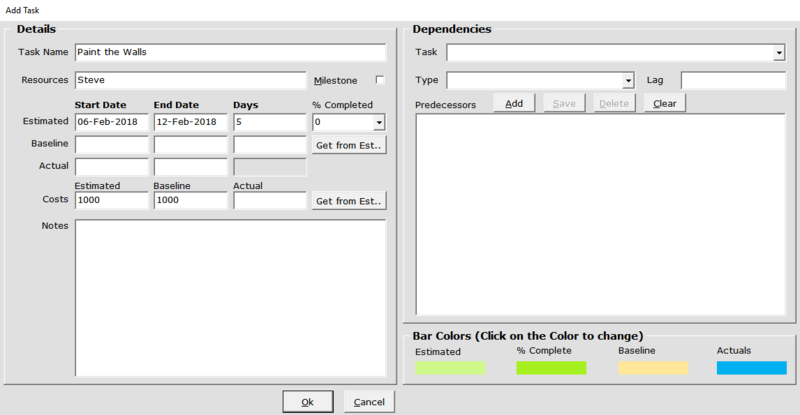 The Gantt timeline will instantly update the default colors of all tasks with the newly selected colors. To do this, just double-click the task or milestone. Change the colors under the Bar Colors section and then hit the Ok button.